I first wrote about Shio Koji last month. It is my new staple condiment and it really helps to reduce the time needed for cooking on a busy day. 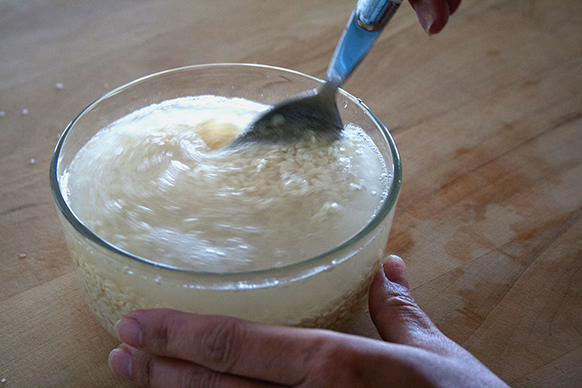 You can marinade any kind of protein in Shio Koji or use it as the condiment and it always works wonderfully. Here is how to make it. Mix all ingredients together in a container with a cover (plastic, ceramic or glass). Make sure that the salt is disolved completely. 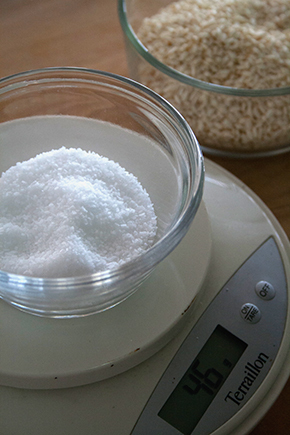 Place the container with koji and salt mixture on the kitchen counter. The container needs to be partially opened to activate fermentation. Mix the shio koji once a day until it is done. Shio koji is ready to use in 7-14 days in winter and 5-10 days in summer. 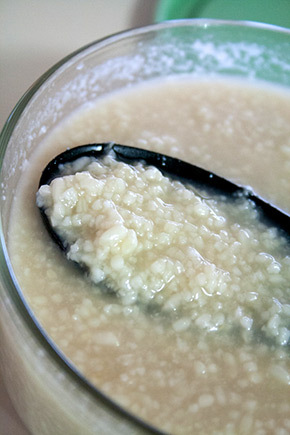 The finished shio koji is slightly amber color and the texture is creamy. When you taste it, it should not have a harsh, salty flavor. It is still salty but it should also have a mild sweetness to it. 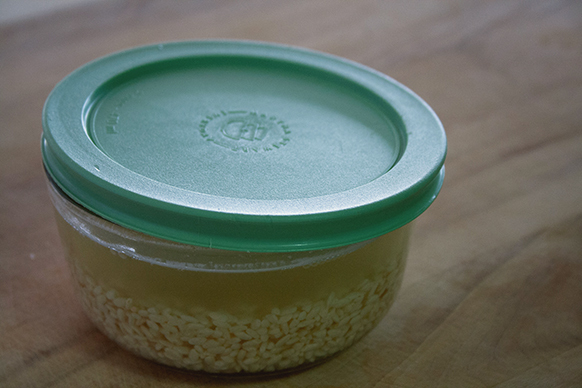 Store the shio koji in the refrigerator and it can keep for up to 6 months. 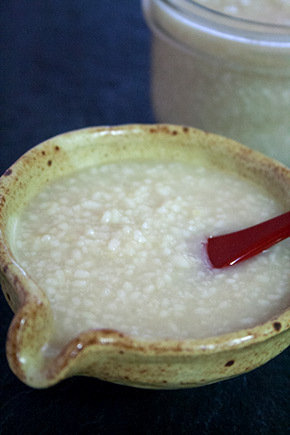 * Rice Koji : in this recipe, I used dried rice koji. 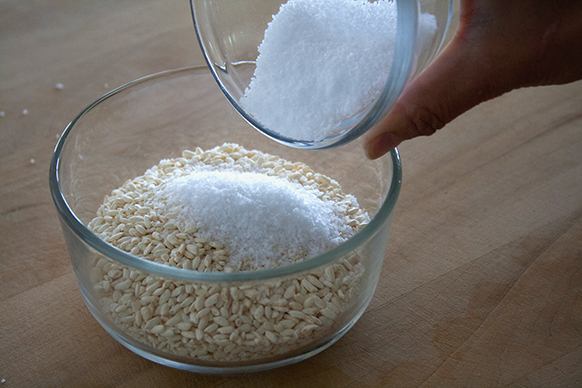 In the U.S., the only place I can find rice koji is GEM culture. They sell fresh organic rice koji (not dried) during cool months. 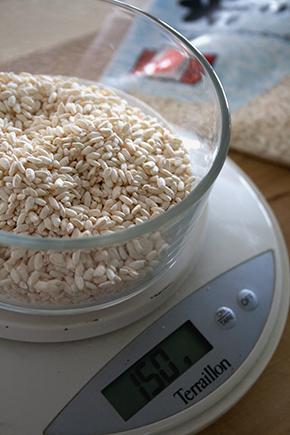 When you use fresh rice koji, the amount of salt and water needs to be adjusted. 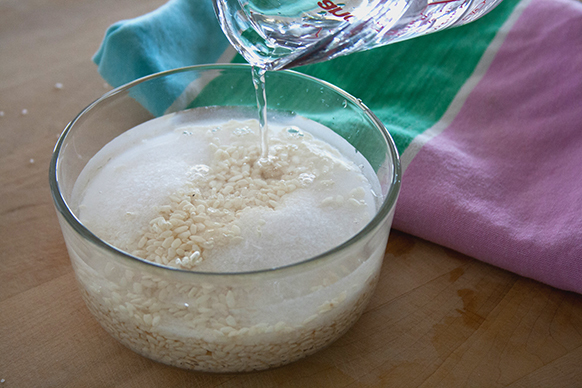 You can also make your own rice koji with regular rice and the koji culture. Koji culture can be purchased from GEM Culture all year around.